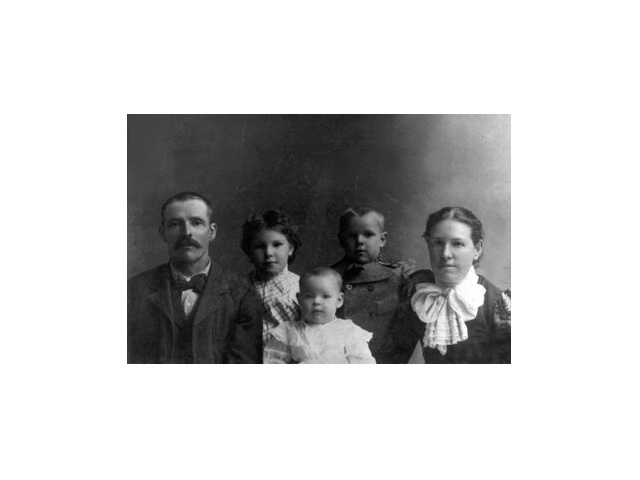 Top: The BREMMER Family, circa 1900. : (L to R) Charles Bremmer, Mary, Bessie, Walter and FLORENCE ARLEDGE BREMMER. Florence is the daughter of Alexander Rodman Arledge. Bottom left: WALTER ARLEDGE and his sister FLORENCE (Flo) ARLEDGE BREMMER, about 1950. Children of Alexander and Julia Arledge. 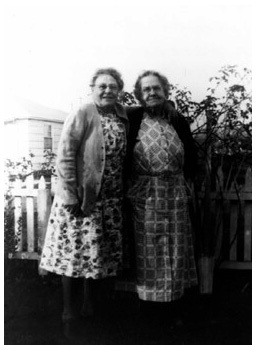 Bottom right: Sisters CORA ARLEDGE NICHOLSON and FLORENCE ARLEDGE BREMMER, about 1940. 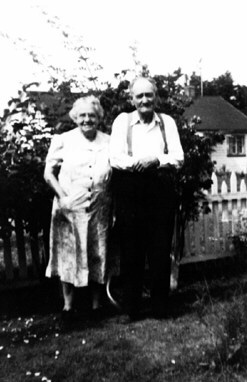 Children of Alexander and Julia Arledge. Click here for genealogical information about the people in these pictures.